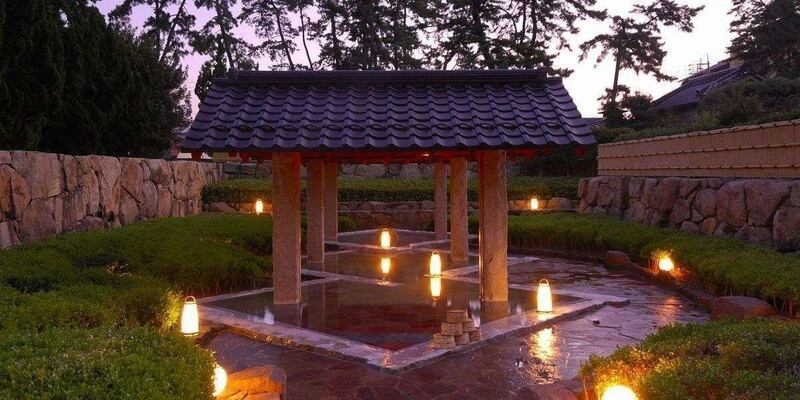 A fantastic space reminiscent of Izumo Taisha Shrine. Both the body and the mind are torn down in two famous hot springs. In Toukouen with the only two sources autologous source Kaike you can enjoy two types of hot springs. Weak salts Kaike Onsen, which is also a feature of Kaike Kaike Onsen, and weak alkaline spring, which is the only self-propelled jet in the whole life. Weak Enruisen that gushing from the sea there is a detox effect, have been familiar to many people since Hirakiyu, it is the base of the hot spring that symbolizes the Kaike One weak alkaline spring has a beautiful skin effect, and it is a famous hot spring, especially recommended for women. Soak your heart in these two types of hot water. 【Private Bath】Luxury open-air bath feels the sea sound of the Sea of Japan "Kaze-no-yu"
【Private Bath】Calmly stone-made inner bath "Matsu-no-yu"
Drinking hot springs "Yomigaeri Water"
It is a bold structure using Oiwa overlooking the garden, renewed as a semi open-air bath large public bath which feels the four seasons of the Sanin. Toukouen is also called the 100 people bath at the biggest bathhouse in Tokoikoen. 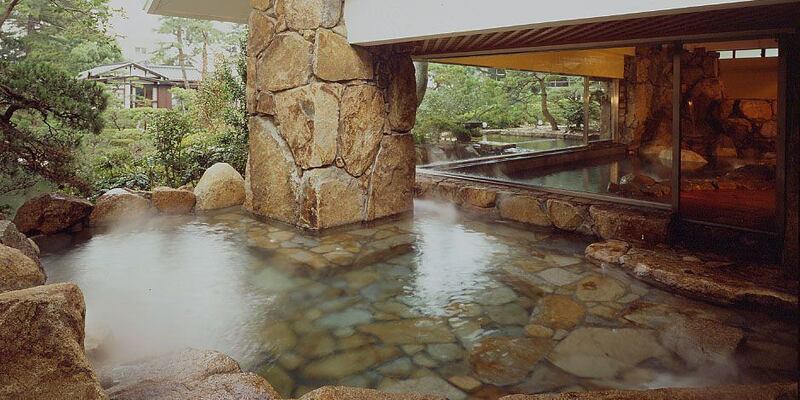 It is as strange as an outdoor bath that looks like a hot water poured into a Japanese garden. Here without the form is thought of Mr. Masayuki Nagare house Mr. Masayuki Nagare, it drifts scent of art. No matter how time changes, the luxurious bathhouse catches the hearts of many people and does not separate. The warmth of the stone sleeping on the ground and the pillar tree holding a solid mass. "Ungayu" with a large rock bathtub of "cracked skin" with its gemstone left Ungayu is a weak alkaline spring with beautiful skin effect. Especially for women it is hot water that you would like to relax. 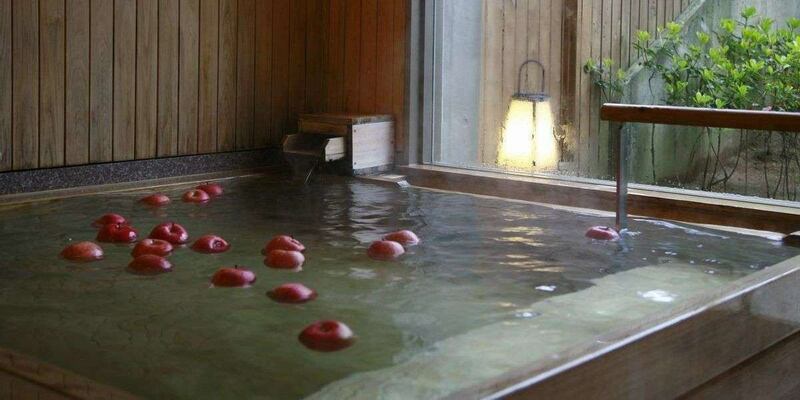 【Open Air Bath/Sato-no-yu】You can enjoy Saline spring with a high detox effect. A famous hot spring overflowing over the stone floor of the cracked skin spread. Even wildly, we boldly incorporate delicate nature, we are creating a unique style. The major principle of health is "put a good thing in after giving out toxic" Detox effect Entered toxins with outstanding Saline spring (open-air bath), entering in the order of alkali spring of beautiful skin effect (inner bath) It will be smooth as the skin revives. After bathing, you can drink a drinking hot spring (alkaline spring) that adjusts the balance of your body, and drink a cup of "Yomigaeri Water" and the inside and outside of the body will be resurrected. You can enjoy two kinds of public baths with men's and women's change system in the morning and evening. Have a monopolized natural spa, take a private bath, "Alkalon spring"
In an unusual space, you can spend memorable time with important people. 2,500 yen/60 minutes(Tax excluded)/3,000 yen for a day trip(Tax excluded) ※Reservation is necessary for use of private bath. Please enjoy the alkaline spring of your own source at private bath "Matsu-no-yu"
It is a barrier-free private bath with no steps from the corridor / dressing room to the bathtub. 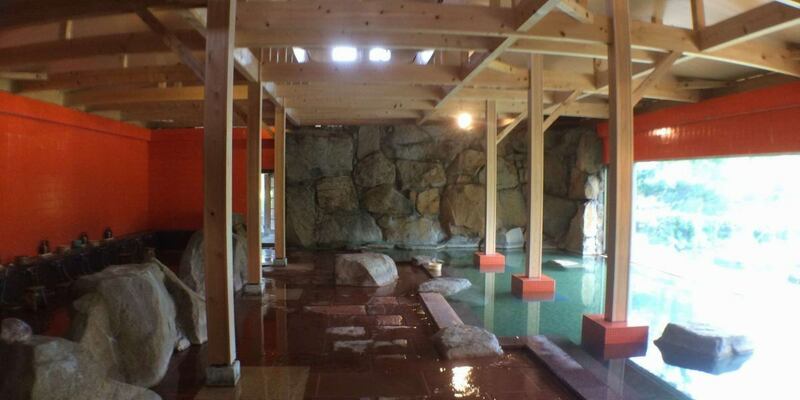 Kaike Onsen, the inner bath of a weak alkaline spring that only goes to Toukouen. It has effects on neuralgia, muscle pain, chilliness etc. In addition, it is reputed as a beautiful hot water with beautiful skin effect. There is also an alkaline spring on the skin and slippery hot water, so if you wash your hair, you can stretch it. Please realize the difference with normal hot water. There is a change of male / female water at night and morning. You can enjoy the salt water springing from the sea, which is said to have been discovered by the fisherman long ago. If you lick it, it is salty, buoyant, sustained warmth of warmth, detoxification effect is expected to get body toxins. It has also received attention as thalassotherapy (marine therapy) and is also called "Longevity hot water" due to its efficacy such as mineral and vitamin supplementation, stress relief, promotion of metabolism. ※Every Tuesday and Wednesday 11 to 15 o'clock can not take a bath because of the cleaning day. 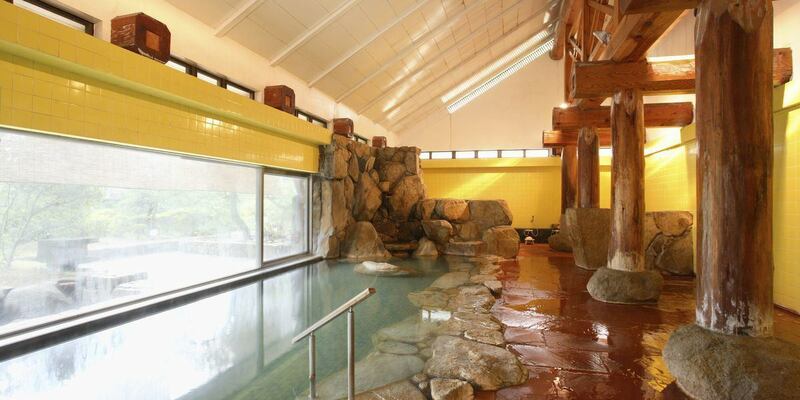 Lobby in this facility, public bath, hot spring water is installed in the room. There is a possibility of acidic constitution in the person of eating habits of meat and fish animal center in usual times. We recommend neutralizing with this alkaline spring and preparing the balance of the body.